The A-Z Guide to juicing and natural therapies guide which contains carefully designed juices by Dr Sandra Cabot and Audrey Tea. Contains a comprehensive table of the healing properties of fruit and vegetable and recipes on how best to use them. Easy-to-use A to Z guide to diseases which list the best fruits and vegetables to consume to maintain your health and well-being. In this amazing book, you will learn that juices are easily digested and absorbed and are superb for those with a poor appetite, nausea, digestive problems and an inflamed stomach or intestines. It is so much easier to drink a juice than chew your way through large amounts of fibrous raw vegetables, especially if you are feeling fatigued and disinterested in food. Traditional natural therapies have been minimalised in this modern technological age. It seems incredulous to some that the simple act of drinking raw juices could turn around severe diseases, however I have seen it work in otherwise hopeless cases. Modern day medicine focuses on treating the symptoms of disease with suppressive drugs. Sometimes this is necessary when a disease is very aggressive and acute in onset, however raw juice therapy is something that should always be used, even in conjunction with drug use. 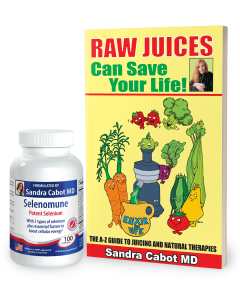 I have seen many of my patients recover from chronic disease after they started juicing, and this has been after they have tried many other therapies. People of all ages can benefit from juicing, especially the very young and old, or those with serious disease such as cancer, immune dysfunction and liver problems. 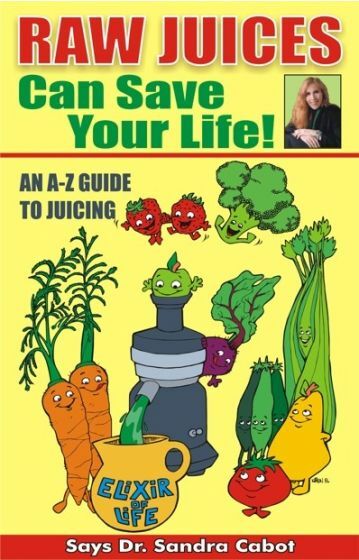 This book is an ideal resource for anyone wanting to juice for their health or looking for new recipes. There is no doubt in my mind that raw juicing can save your life. I have seen it work miracles in some of my patients who were stuck on the merry-go-round of drug therapy. The juice from raw fruits and vegetables has powerful healing and rejuvenating properties that can help people with all sorts of health problems. I have known about the healing power of raw juices from a very young age, because they were the only therapy that saved my grandmother’s life. My grandmother, Susannah Dalton, was struck with a very severe form of a kidney disease called glomerulo-nephritis while she was still in her twenties. This was during the 1930’s when very little was available to treat kidney disease. In glomerulo-nephritis, the immune system attacks the tubules of the kidneys causing widespread kidney inflammation and blood and protein in the urine. Susannah was truly at death’s door when the hospital told my grandfather there was nothing further they could offer to save her life. Thankfully, my grandfather Harry was a man ahead of his time and a hospital dietician. Harry took Susannah home and started a program of raw juicing. Harry gave her a glass of raw vegetable juice made alternatively from a vegetable growing above the ground and from a vegetable growing below the ground every hour. A miracle then started to occur, and over the next 6 weeks Susannah gradually regained her health. Her kidney inflammation settled down and her kidneys regained normal function. The concentrated vitamins, minerals and anti-oxidants in the juices had calmed down her immune system and put out the fire of inflammation. Susannah Dalton was a wonderful woman and lived to the ripe old age of 78 years. It must have been a labour of love for my grandfather, as in those days one did not have the luxury of easy to use juice-extracting machines. Often in this technological age where computers diagnose diseases and perform surgery, we tend to minimise natural therapies. It seems incredulous that the simple act of drinking raw juices could turn around severe diseases, however I have seen it work in otherwise hopeless cases. Juices are easily digested and absorbed and are superb for those with a poor appetite, nausea, digestive problems and an inflamed stomach or intestines. It is so much easier to drink a juice than chew your way through large amounts of fibrous raw vegetables, especially if you are feeling fatigued and disinterested in food. Modern day medicine is focused on treating the symptoms of disease with suppressive drugs. Sometimes this is necessary when a disease is very aggressive and acute in onset, however raw juice therapy is something that should always be used, even in conjunction with drug use. I have seen many of my patients recover form chronic disease after they started juicing, and this has been after they have tried many other things. People of all ages can benefit from juicing, especially the very young and old, or those with serious disease such as cancer, immune dysfunction and liver problems. Juices are a perfect medium in which to mix and dissolve nutritional powders, and will enhance their healing powers. The nutrients and herbs in powders are better absorbed than tablet forms of the same ingredients, and mixing them in juices enhance their solubility, digestion, and absorption. The juices bring the healing nutrients to the cells in the surface of the mucous membrane of the gut in an easily absorbed form. 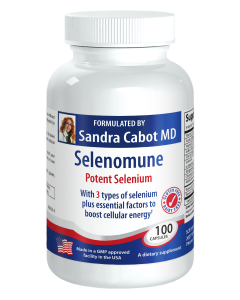 This requires much less energy to assimilate than solid tablets, especially in people with inflamed mucous membranes in the intestines. Juices can be combined in so many ways to make them palatable and even delicious. Their diverse colours and taste enable huge variety so that you will not get bored. For those who feel they need an extra boost, there is nothing better than having a raw juice everyday. It will brighten up the day by providing extra energy and endurance. Juices are packed with living enzymes to assist the digestive process, which means your gut, liver and pancreas do not have to work too hard to provide you with vital nutrients. This conserves vital body energy, which means that you do not feel heavy or weighed down after drinking juices. You can absorb up to 99% of their nutritional value. Juices supply a concentrated source of vital nutrients. A medium size glass of carrot juice (250 mL) is approximately equivalent to eating 500 grams (over one pound) of raw carrots. Eating so many carrots at one time would be hard on the jaws and teeth, and would take a long time to get through. Juices are unique because they allow the gut to receive very concentrated amounts of phyto-nutrients that could not be obtained by eating a normal amount of raw vegetables and fruits. Ideally, you should consume a diet that consists of a high percentage of raw fruits and vegetables, with cooked vegetables and raw juices. If you find the juices too strong, simply dilute them with water or flavored herbal teas according to your taste. If you are sensitive to fruit sugar (fructose), or are diabetic, then it is better to avoid fruit juices and use only vegetable juices. Many people consume a diet high in processed foods, along with tea, coffee and alcohol. This causes a build up of acids and metabolic waste products in the body, which can result in more inflammation. This acidic state of the body can be neutralized by drinking raw juices. Celery, cucumber and cabbage juice are excellent to reduce acidity. 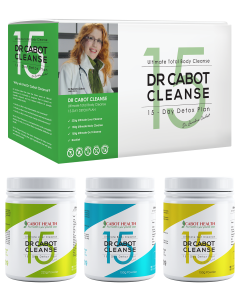 This is an effective way to balance the pH levels (acid-base) balance in the body, which will dramatically increase energy and well-being. Raw juices are able to stimulate the function of the bowels, liver and kidneys, which increases the breakdown and elimination of toxic chemicals and waste products from the body. The raw juices can increase the quality and flow of the bile. 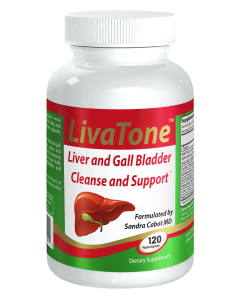 This is very important in detoxification, because the liver pumps large amounts of toxic poisons out of the body through the bile. In some people, the biliary system is like a "sewer" in that it is laden with unhealthy fats and toxins. 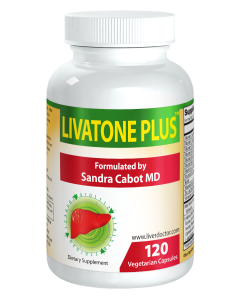 Little wonder that millions of people suffer with liver and gall bladder diseases and stones. If only they knew about the power of raw juicing and "The Liver Cleansing Diet", they would be able to keep their gall bladder, and enjoy a healthier life. It is quite safe and very effective to go on a raw vegetable and fruit juice "fast" for 2 to 3 days. During these days, you have nothing to eat except raw juice combinations, and raw vegetables and fruits. Diabetics cannot do this, as they must have regular protein and complex carbohydrates, but they can still enjoy raw juicing. There are so many sick people on this planet searching for lasting solutions to their health problems. Furthermore, some of the drugs used to treat common ailments, can themsleves cause disease, and we call this drug-induced disease "iatrogenic disease". For example, non-steroidal anti-inflammatory drugs can damage the stomach, kidneys and the liver, if they are taken on a long-term basis. The cholesterol lowering drugs known as "statins" can cause severe muscle diseases. Some of the drugs used to lower blood sugar levels can cause liver disease. A friend of mine who is a flying instructor was taking anti-inflammatory drugs for several months to reduce the pain of a back problem. After several weeks he found himself depressed and unable to remember the things he needed to be able to fly and instruct well. He was about to start anti-depressants, when I told him to stop the anti-inflammatory drugs and try "The Liver Cleansing Diet" and raw juicing. Within 2 weeks, his memory and mental abilities had returned and he could cope easily. He had been told he was suffering with stress! Long-term antibiotics can cause severe liver damage, which can lead to immune dysfunction resulting in allergies and autoimmune diseases. Steroids like cortisone may lead to weight gain, high blood pressure, diabetes and osteoporosis. Also, these drugs become increasingly ineffective over long periods of time. These problems led me to become a medical doctor who first likes to do no harm to her patients. This is why I have turned towards nutritional medicine and I have found it immensely satisfying. The incidence of obesity and type 2 diabetes has tripled in the last 40 years because we are not in tune with our body’s natural needs. It is true that "the food keeps getting faster and faster and we keep getting slower and slower"! You may be aware that in the early part of the year 2000 there was an emergency recall in the USA of a drug called "Rezeulin". Rezeulin had been initially released onto the market for diabetics to lower their blood sugar levels. 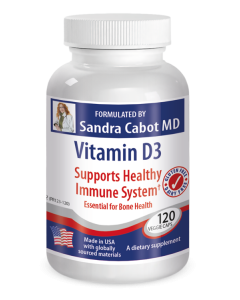 Rezeulin caused severe liver damage in a significant percentage of diabetics, and some of these cases were fatal. We often tend to panic when we become sick and rush in to taking drugs or having surgery. It is often better to sit down, relax and think for a while, so we can look at more natural alternatives. Can we change our diet and lifestyle, reduce stress, and take the time needed to truly heal ourselves? Yes, we can afford some more time for ourselves, and even if we need to take drugs, it is vitally important to start a program of raw juicing and raw foods. This is so important but rarely given the credibility it deserves. Whilst I was lecturing in New Zealand, I met a very young woman with severe autoimmune liver disease. Her doctors did not know why she had developed this severe liver inflammation and had told her that she was going to need a liver transplant. During childhood, she had suffered with numerous colds and flus that had been treated with prolonged and excessive doses of antibiotics. 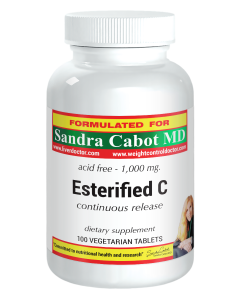 These had probably been very significant in the genesis of her mysterious liver disease. If only her parents had not panicked and taken the time to consult a nutritional doctor and a specialist immunologist to check her immune system thoroughly, she could have controlled many of these infections with raw juices, dietary modification and nutritional supplements. Another of my patients had come to see me suffering with longstanding obesity and had tried stomach stapling, many fad diets and tons of appetite suppressant drugs. These had damaged her liver and she had developed a "fatty liver", which made it impossible for her to lose weight. I convinced her to start juicing and to take a powerful liver tonic. She was quite desperate and agreed to try this program. After 12 months, she had reversed her fatty liver and had lost 80 lbs in weight. 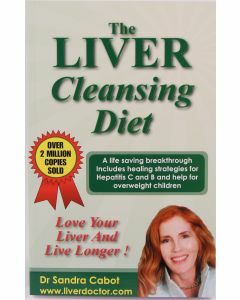 In her case, it was vital to get her liver burning fat again. The juices had improved her liver function, changing her liver from a fat storing organ into a fat burning organ. She found that the juices quenched her appetite and gave her the energy to start exercising again. Another patient came to see me complaining of weight excess, a facial rash and elevated liver enzymes. She had originally suffered with acne rosacea, which is a red pimply rash of the face. The doctor had given her long term tetracycline antibiotics for the acne, which had damaged her liver and made her face bright purple in colour. To overcome this drug induced side effect, she was taken off the tetracycline and given cortisone and antihistamines. The cortisone upset her heart, causing severe palpitations and she then had to stop everything. 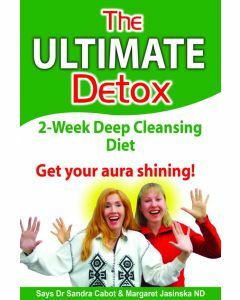 She was very frustrated and had finally turned towards a natural solution for the imbalance in her body. I started her on a course of juices for her liver and immune system and within 3 months, all her problems had gone. Moreover, she had lost much of her excess weight. It is surely time to turn back to the treasure house of nutritional healing, so that we can work on the causes of disease and rejuvenate the sick cells in our bodies back to health. I am always hearing stories from patients that make me saddened because they were not offered the benefit of using raw juices. Even though a program of raw juicing may to many seem simple and nothing new, it is an incredible healing tool.